Bea Clark has issues. The kinds of issues that make her feel as if she is being smothered by her own thoughts. Even when things are going well for Bea, she’s always waiting for something to trigger the darkness to take over. And when it comes, this deep, black heaviness, everything – including getting out of bed – becomes a struggle. Ending her life seems like the right thing for Bea to do and it’s where her thoughts carry her, so she tried it…once. She also tried running from Trinidad to live in Boston. It hasn’t “fixed” her, but at least no one knows her there. She doesn’t have to wilt under the scrutiny of her mother’s disapproval. Bea realizes that family problems have made her feel weak and invisible, but she is learning to handle that from a distance – in Boston. It’s just those times when she has to go back home, like now. In Trinidad, Tina, who is at least 20 years younger than Bea, is growing up in the same town Bea had called home. However, that is where the similarity ends between the two women. The identity of Tina’s father has been kept a secret from her; her grandmother is overbearing and her mother….left. 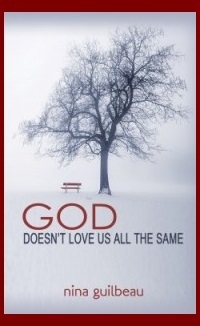 Tina, unlike Bea, is determined not to let the demands, dysfunction or tragedies of her family control her life. She will be stronger than everyone gives her credit for and learn to do everything on her own. Tina doesn’t understand until later that accepting help doesn’t necessarily make you weak. Sometimes you’re weak because you don’t accept it. 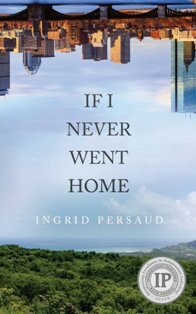 If I Never Went Home by Ingrid Persaud, covers the span of ten years in the lives of Bea and Tina as they both struggle through heartaches and hardships. Their paths will cross, but it is only when the two stand face to face that they realize the help each of them need, might be found in each other. The story is told in a series of flashbacks for both characters, which may be a little confusing until the reader understands the timeline for each of them. However, the author does a great job with the characters’ dialect. Due to the writing style, rather than a dismantling of the English language, reading doesn’t become too challenging or annoying and the flavor of the island is ever present in the dialog. If I Never Went Home is also a good book club pick as there are so many topics to discuss in this complex story full of flawed characters. In addition, the ending is not exactly what the reader expects, which is another plus for this women’s fiction novel.